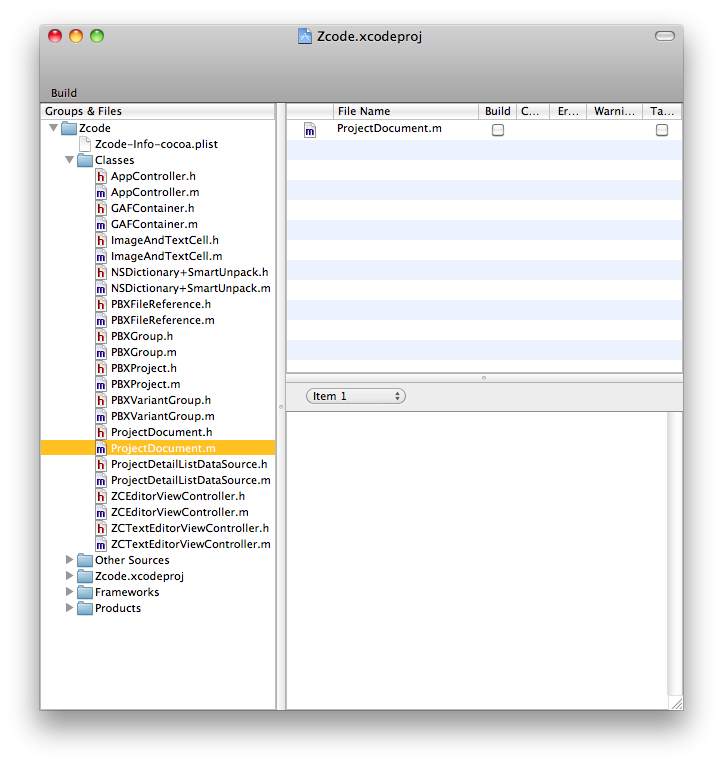 Zcode is trying to be a simple Objective-C IDE with user experience similar to that of Apple's Xcode. 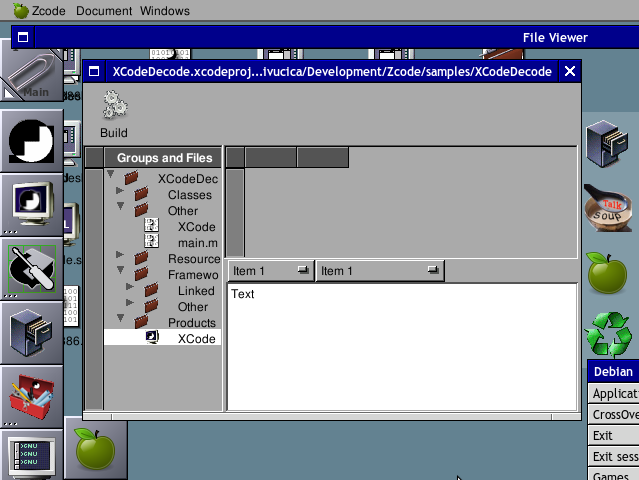 Zcode is currently targeting GNUstep, but it's intended to port it as soon as feasible to Cocotron and OS X as well. 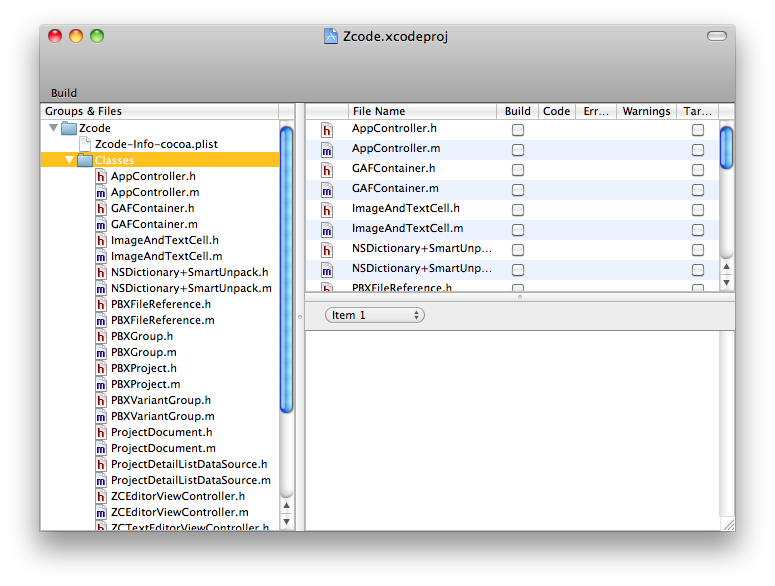 Zcode will open and save Xcode projects in order to make it possible to compile and use Cocotron on Windows and Linux :-) and develop other software perhaps more easily than with current GNUstep solutions: Project Center and GNUmakefiles. Cocotron is currently useable only with Xcode, and it cannot even be compiled on its target platform. GNUstep's solutions are, while useful, somewhat awkward to use -- of course, De gustibus non est disputandum, but Xcode users probably won't find ProjectCenter.app very powerful or easy to use. Zcode is GNU GPLv2 LGPLv2 licensed. Take a look at Zcode on BitBucket. 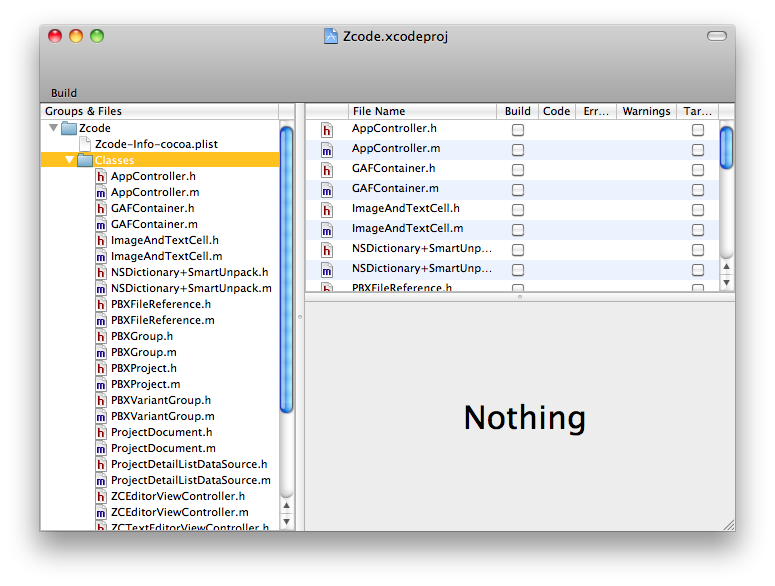 Zcode is still in early, EARLY development, and screenshot below demonstrates only loading of Xcode project (which you can see on the left, in the Groups and Files outline view).